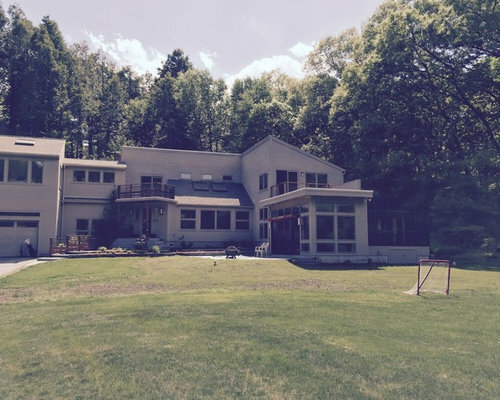 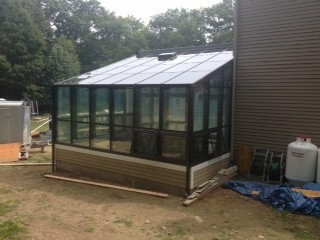 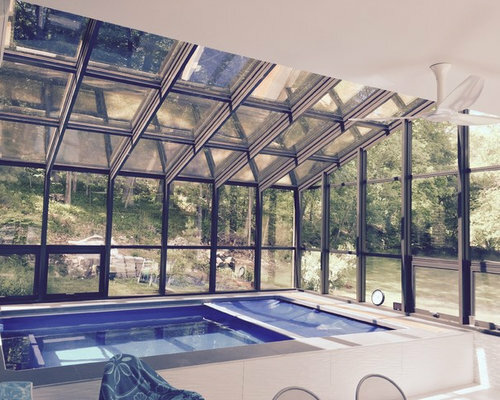 This architecturally designed Four Seasons Sunroom addition enclosing an Endless pool, had to blend into the front of this contemporary Boston home. 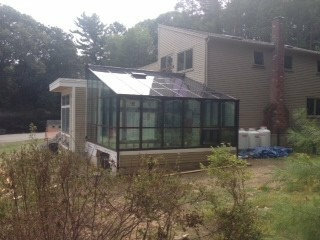 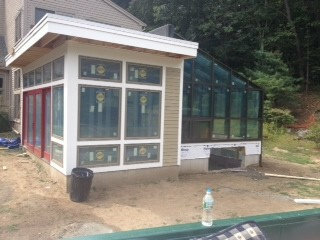 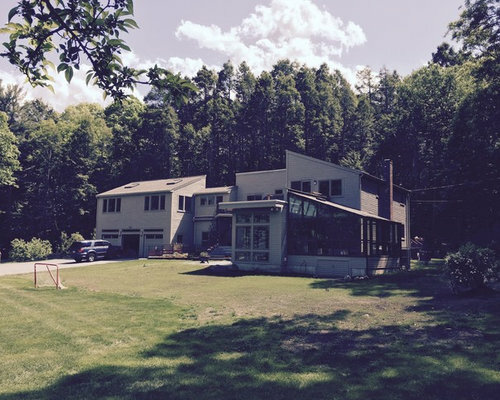 The bronze color sunroom frame is a subtle contrast to the steep angles of glass and bold design. 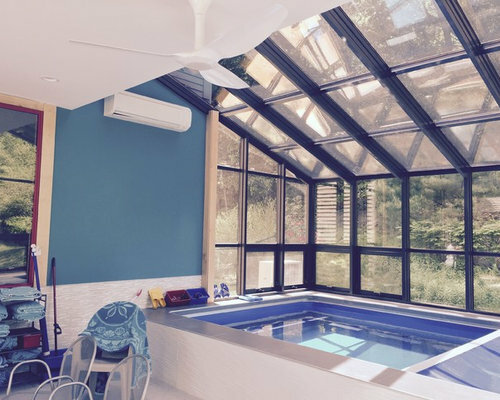 The swim-in-place Endless pool is recessed into the foundation, is heated to the perfect temperature and has an automatic retractable cover. 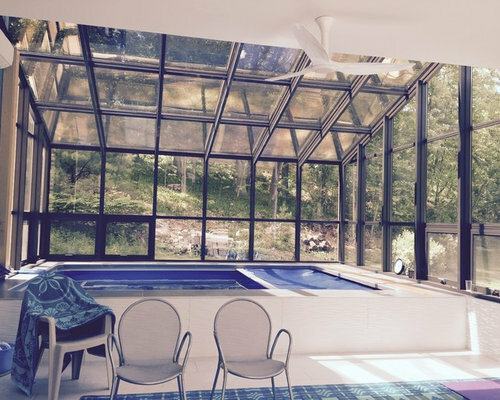 Along with the amazing energy efficiency of Four Seasons Sunrooms Conserva-Glass technology, the heat pump cooling/ heating and dehumidification system keep this spectacular spa-like addition perfect for a daily swim workout.